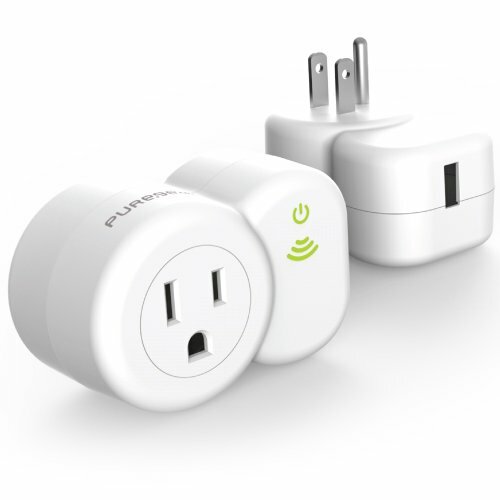 The PureGear PureSwitch Wireless Smart Plug not only turns your home into a smart home, but also makes your life easier. The PureSwitch gives you smart-home functionality that works for your life. You can manage your energy use and your household appliances by switching them on/off for each use with your iPhone,. iPad, . or iPod touch.. Better yet, set them on a timer so you don't even have to think about it. Imagine coming home from work to a dark house. One that is scorching hot, on top of that. Instead of the dark and scorching scenario, now imagine coming home with a light on to welcome you and a fan on to cool you. The PureSwitch connects to your Wi-Fi, and there is a free PureSwitch app for iOS in the App Store. Make the switch to convenience with PureSwitch.